You want to know more about Extreme Dental Emergency? 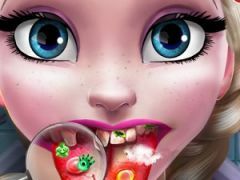 Everyone should know the importance of teeth and how should they be used and cleaned, but seems that this cute character within the newly added game Extreme Dental Emergency is unaware or she did not care enough, so, she developed a terrible teeth condition due to not caring of her teeth enough, she used to eat too many sweets. 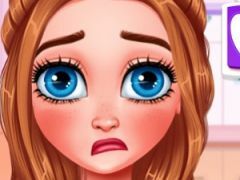 The poor girl needs your help so let's play together this fun new game Extreme Dental Emergency, a beautiful game where you girls will get to become her personal dentist and clean up the girl's teeth, removing the cavities and other dental conditions. We know that you're not real dentists, and perhaps you don't know exactly what a dentist should do, but don't worry, because you will be guided the whole time and you will be told which dentist tools to use for which condition. 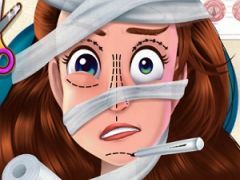 If you girls are such big fans of these type of doctor and dentist games, then you should definitely try this fun Extreme Dental Emergency game, a game where you'll get to experience the perks of being a real dentist in the emergency room. Enjoy playing Extreme Dental Emergency! You want to find more about Extreme Dental Emergency? The Extreme Dental Emergency game has part from Dentist Games. This game is played by 106 times, have 2 votes (1 likes and 1 dislikes) and his added 10 February 2019. If you want, you can play more games from Dentist Games.